Stephen King is one of the world’s most prolific authors. Much of his work has appeared in film, the source for classics like Carrie, The Shining & Misery. Dan Grant takes a look at some of the greatest characters to emerge from his writing on-screen. Stephen King has more than 300 million copies of his books in print. He has written some of the best horror stories ever produced. And yet, more times that not, his stories are so hard to film. It doesn’t help that many of his books are too rich in detail and to knock it down from 1000 pages to a 2-hour movie is incredibly difficult. Even harder to translate from book to screen is the right interpretation of the character. 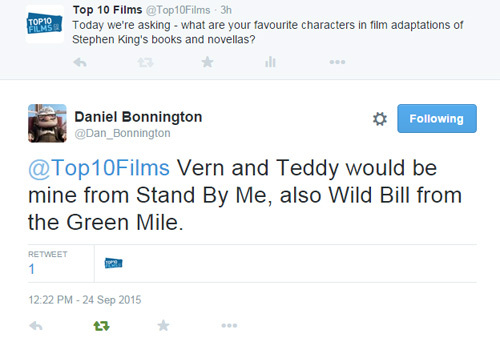 Top 10 Films editor Dan Stephens and I have something in common in that we both love the book IT. It is unequivocally my favourite novel. But our opinion differs in our appreciation for the two-part TV movie. Dan liked it a lot, I thought it was just passable. And part of the reason for this is that it is just too hard to get his characters to sound right on film. I just didn’t think John Boy and Jack Tripper could do justice to Bill Denbrough and Big Ben. But when the interpretation is done right, you have some of the better films from their respective years. Here are the top ten performances on film from a Stephen King piece of work. In the novel, this character was a God-fearing and fear-mongering woman who believed in human sacrifice. She was willing and quite ready to use a child as a human sacrifice to appease what she thought were beasts sent by God to punish humans for their wicked ways. 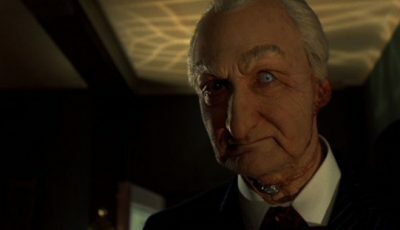 Frank Darabont directed the film and adapted the novel. He let Marcia Gay Harden run wild with the character. She won the Oscar in 2000 for Pollock and here she is just as good. She absolutely sneers at the screen and spouts off so much vitriol and biblical gobbletygook that you literally hate her. When she finally gets put to rest, you feel a sense of relief that she is gone. Writing as Richard Bachman, King wrote this story that was about 15 years ahead of its time. This is a story about reality TV and societies pre-occupation with violence and death and seeing it all happen on live TV. Richard Dawson, of The Family Feud fame was the only choice to play the slimiest game show host around. He pretty much nails his character and there isn’t much difference between what King wrote in the novel to what Dawson gives us on screen, which is why it works so well. Dawson has game show experience and I think he used some of that charisma to make the character work so well. Jeffrey Boam of Indiana Jones/Lethal Weapon fame, adapted the novel and body horror legend David Cronenberg directed this terrific film. It’s no wonder that Christopher Walken did so well with the character. In the novel, Smith is first and foremost a heartbroken man as his coma cost him his fiance, who remarried. Walken conveys this beautifully. While this is not a straight up horror film like many of King’s stories, it still has horrific elements to it and Walken is quietly brilliant in the role. 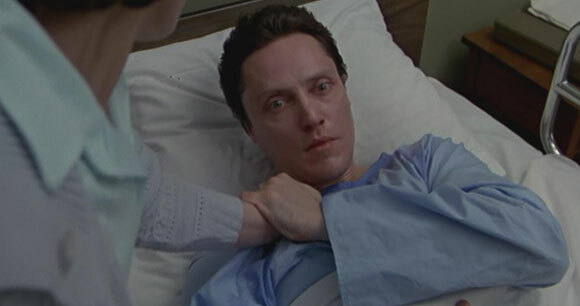 He helps us understand the pain that he is going through and then when he is thrust into a crazy world where he must make some incredibly difficult decisions, Walken does the transition effortlessly. 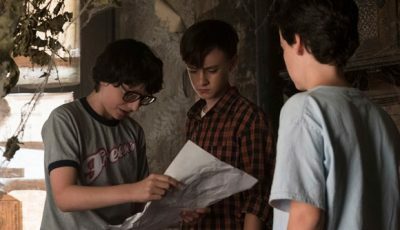 To be honest, any one of the four kids in the movie (you could even have Kiefer Sutherland here as well) could be mentioned here. They are all that good. But if you have to pick just one, Phoenix shines just a little brighter than the rest. 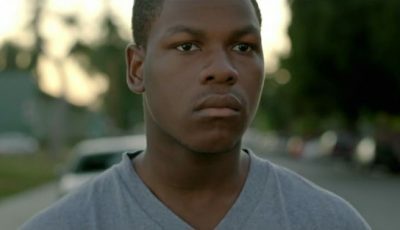 Here’s a young boy from an abusive family and has a jerk for a brother. And yet he is a fiercely loyal friend and a young man with impeccable morals. Phoenix makes you feel for Chris Chambers, he also helps him grow on screen, from a young 12 year old to a boy much further along in age, intellect and maturity. Phoenix was a bit of a prodigy. Everything he was in was better because of his presence. Stand By Me is certainly one of those films. When Crandall is first described in the book, you feel like you are reading about an avuncular southern member of your family. 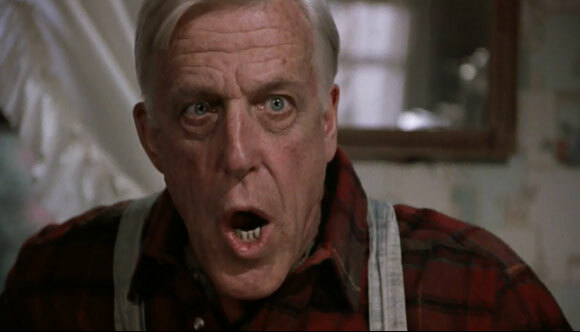 Fred Gwynne, of the Munsters fame, takes the characters and breathes life into him. He’s got a southern drawl and his large frame conveys the strength, both physically and mentally that King says he has in the novel. It also helps that King adapted his own story so he got the mannerisms and idiosyncrasies of the character down to perfection. 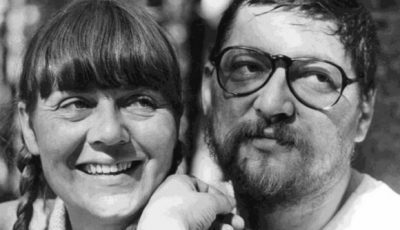 But without Gwynne’s interpretation of him, we could have had a caricature of the character, not what we see on screen. In the novella, Red was a white Irishman with red hair. Frank Darabont didn’t seem to care that Morgan Freeman was about as opposite to that as you can get. 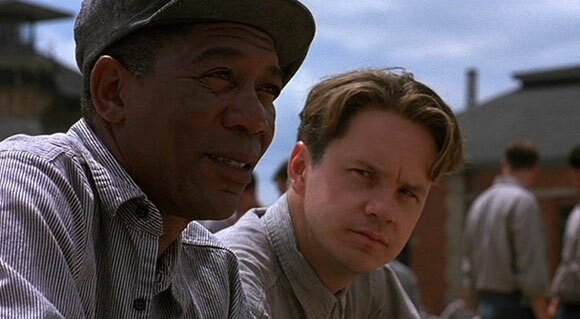 He covers it with one line in the movie: When Andy Dufresne asks why they call him Red, Freeman replies, “Maybe it’s cause I’m Irish.” Morgan Freeman, it’s been said, has the voice of a God. It’s soothing, commanding and virile all at once. That can be said for his portrayal of Red as well. He’s a strong character, one that commands respect and he is also fiercely loyal to all his friends in the film. Freeman has had some truly incredible performances over his lifetime, this is considered one of his best. I’m not really sure why Michael Caine won best supporting actor in 1999 for The Cider House Rules. What Michael Clarke Duncan brought to the table here is nothing short of miraculous. Stephen King wrote Coffey as a giant of a man with the intellect of a small child. Duncan brings all of that to the performance. Frank Darabont also directed this one and wrote the screenplay. Like The Shawshank Redemption, he is apt to get iconic performances from his cast. Duncan made us believe. He made us understand and feel for this man so that at the end when he is willing to accept his fate because he is tired of being who he is, you want to cry with him. In my opinion, this is one of the best performances of 1999. Stanley Kubrick is a noted perfectionist. Some would say he is borderline psychotic. He has been known to do 50 takes for some films. 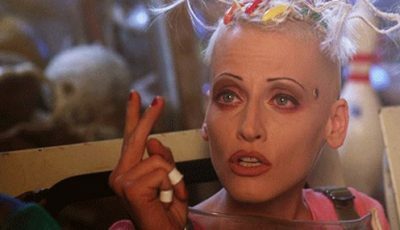 He was so abrasive towards Shelley Duvall that she came close to quitting at one point. So it comes as a bit of a surprise when you hear that Kubrick let Jack Nicholson do a lot of improvising with his character. The entire “Here’s Johnny” scene was Jack’s idea and he did it at first without Kubrick’s knowledge. Kubrick, not knowing The Tonight Show at the time, thought it was an odd thing for Jack to do. And then when he found out about the reference he liked it and kept it. Beyond that, and in spite of what Stephen King says about the movie (he hates it), Nicholson slowly and meticulously brings us along with him as his character descends into a personal hell. Nicholson has had too many brilliant performances in his career to mention, but this certainly is up there with his best. A quick story to this performance. I was 18 years old in 1990 and when I first saw this film, I turned to my best friend and said, “I’ve never heard of Kathy Bates, but she is winning best actress this year.” A lot of King’s characters go on a journey into some personal and private hell. 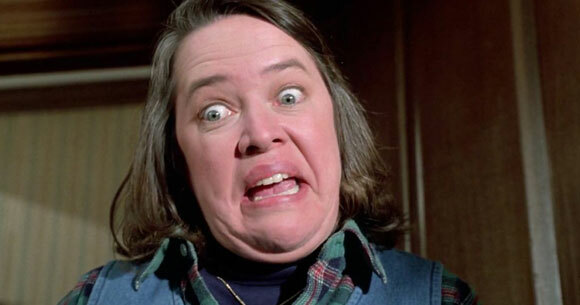 No one did it better or more convincingly than Kathy Bates did. Here’s a character that, if played by someone else, could have perhaps been laughably misinterpreted. King himself was so impressed with Bates’ work that he wrote Delores Claiborne with her in mind and he even wrote a part in the mini-series The Stand just for her. This is a character that starts off as a caregiver, helping injured writer Paul Sheldon back to health. Then her slow decent into madness culminates with her taking a hammer and blowtorch to his legs. Bates won the Oscar for best actress and in the process made me look like a genius to my friends. 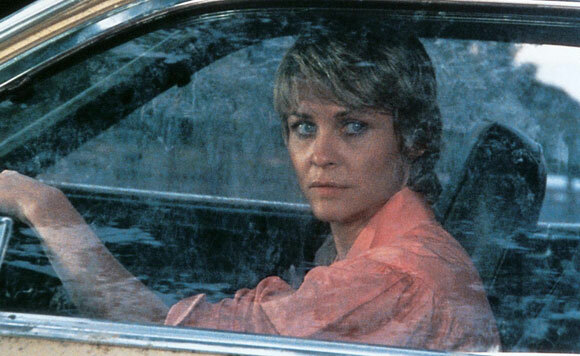 Dee Wallace is a terrific actress and her career spans five decades. She is known in horror circles as a bit of a scream queen. This is her best performance and in my opinion, one that she should have received an Oscar nomination for. Her character arc ranges from adoring mom and loving wife to adulterous partner, matriarch and terrified victim, instincts that cause her to fight for her life and the life of her child. She gives a roller coaster ride of emotions to the audience and when the film finally ends, and you see her physical appearance, you feel like you have gone on this emotional and physical escapade with her. Dee Wallace let it all hang out here, she held nothing back. These might sound like cliches, but cliches are there because they make sense. Stephen King has even said that of all the performances in any of his films or TV series, this is the best one. I agree with him. What do you think? Did I miss any? Are there any here you would remove? Who would you add? I’m curious to read some other opinions. Maybe Keith Gordon from Christine? Piper Laurie or Sissy Spacek from Carrie? Max Von Sydow from Needful Things? Gary Busey or Corey Haim from Silver Bullet? Okay, I wasn’t expecting that pick at #1. I’d have gone with either Bates or Nicholson, however. But, a great list nonetheless!! Nice job, Dan G! I think Piper Laurie’s a good one. She’s terrifying in Carrie. 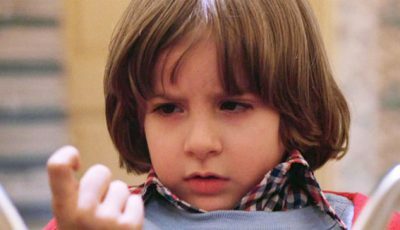 What about the kid from The Shining – “red rum”! @Neil Yes, Firestarter was good for Drew. Rodney: I think it’s an incredible performance. Allie: They were all good in SBM. Great list Dan. I love Bill in IT and the main guy in Thinner as alternatives. But can’t complain about your choices. As a huge fan of film adaptations of Stephen King’s work, this list is close to my heart. With any top 10, I think it’s easy to alter the order based on personal preference but I think you’ve nailed it when it comes to the best of the best. Three of my favourite movie adaptations – Misery, The Shining and Stand By Me – appear here. I think each feature characters that are not only brilliantly conceived on King’s part, but wonderfully realised by the actors and directors who bring them to life. A fourth King favourite is mysteriously missing and therefore I would agree with some other comment-ers that I’d add Piper Laurie to the list but I think fans of The Mist would argue with me over eliminating Ms. Carmody. As for my number – I’d plump for the obvious and go with Jack Nicholson in The Shining with Kathy Bates at 2, and River Phoenix at 3 or 4, either in front of, or behind, Piper Laurie. Dan Grant, another great list. Nice to see Misery, Dead Zone, and The Shining on here! I personally love the Dead Zone, Walken’s performance is exceptionally outstanding the perfect kind of creepy and sincere at the same time. Hey Dan: And I guess to everyone else as well. Yes, Laurie is outstanding in Carrie and she could have made this list. But it was really hard for me to leave anyone off here. As for Wallace, a lot of my friends who have read this think it’s a weird choice. But imho, she absolutely kills that role. The range she has to go through is just unbelievable. She really did a terrific job. Thanks Neal, I’m always happy to see your comments here. Overall, fun list Dan G! I think you’re right to put Dee Wallace in the number one spot – she hardly gets the plaudits she deserves for that role. It’s not my favourite King adaptation but the others are more obvious, I like the fact you’ve put her above Nicholson and Bates. I think Keith Gordon in Christine is another good performance – the way he changes from quiet nerd to possessed psycho. As for IT, I don’t think there’s been many scarier performances than Tim Curry as Pennywise. Thanks Daniel Bonnington. I too agree with you about the other kids from Stand By Me. Rory, I love Gordon’s performance in Christine. I really debated putting him on the list as well. But there really are too many King adaptions that inevitably someone or some people would be left off. I’m glad you appreciate DWS’s performance as much as I do as well. It’s a shame my favourite King book – IT – has such a crappy TV-movie adaptation. I’m hopeful for the updated version that’s been rumoured. Having said that, Tim Curry is a revelation in that film. Tim Curry is terrific in IT. And I don’t think the tv version is horrible but I think they could have made it better. I really hope the film version of it is given the proper treatment. It’s a hard piece of fiction to get right, but if they can, man oh man it will be something to treasure. Christopher Walken. Hands down for ‘The Dead Zone’. Richard Dawson excels as Damon Killian. A neat side step from ‘Family Feud’. Charles Martin Smith and Roberts Blossom in ‘Christine’. If I was to add any, it would be Keith Gordon in Christne. He was so creepy and convincing it was actually quite scary watching his character transform in the film. Thanks Jack, appreciate the comments and Neal, yes, there has been a lot of support for Gordon. Grey: I also thought Annette O’Toole was pretty good as well. In fact all of the actors were fairly decent I just don’t think any of them were stand outs. But as I have said a few times now I think the Book It is very very difficult to film. I really hope the movie version is done well. 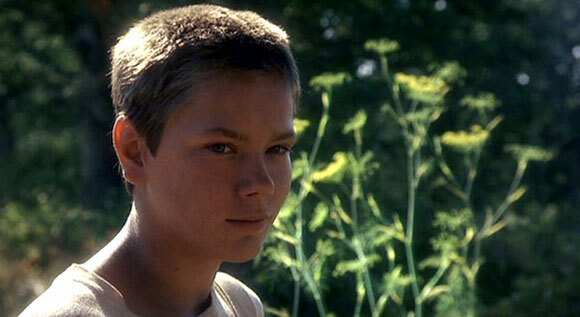 I do have to say River Phoenix was exceptionally good in Stand by Me. It really is such a shame he died so young and in the way he did. 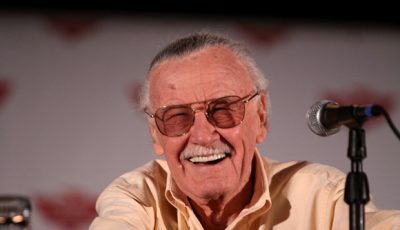 What a phenomenal actor and huge loss. I was a senior in HS when he died. Yep, I agree Neal. He was an exceptional actor and as I’m sure you know, Spielberg was equally impressed with him in his small role in Last Crusade. He went on to say that Phoenix studied Ford’s mannerisms for weeks and that’s how he came up with so many of the quirky little actions that Indy does. He was something special, no doubt. 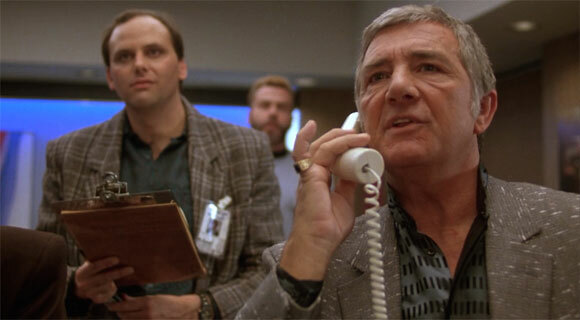 Richard Dawson is so freakin good as Killian in The Running Man. The perfect mix of arrogant jerk, slimey gameshow host, and villian all in one. And while you’re right that almost any actor could be mentioned with Stand By Me, Phoenix shines just a little brighter than the rest. Morgan Freeman’s performance in The Shawshank Redemption absolutely belongs near the top since I think it’s one of the best, if not the best of his career. 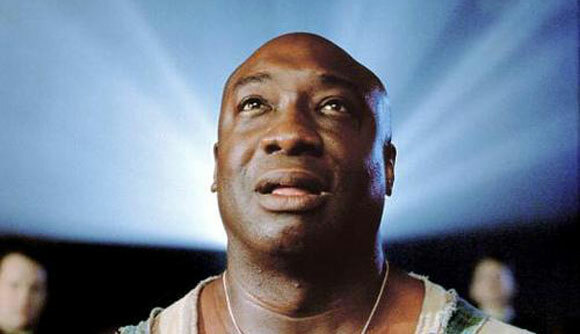 Same goes for Michael Clarke Duncan in The Greem Mile. It’s sad that he was taken from us so early. I would have been interested to see more of his work. 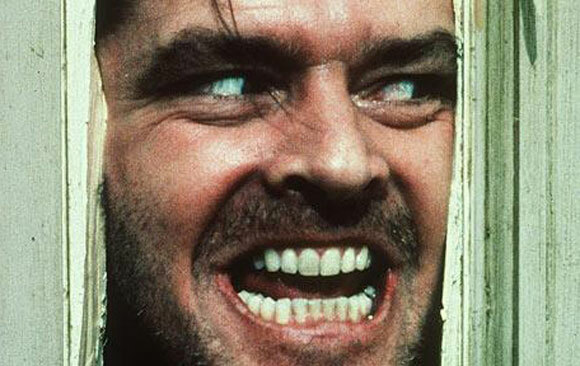 Haven’t seen Misery or Cujo, but I’m happy that Jack Nicholson is #3 for The Shining. I don’t care whether Stephen King likes it or not, it’s a scary, extremely well-done movie.